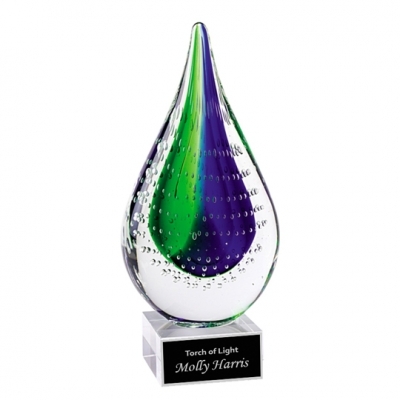 This stunning artistic teardrop award features blue and green colors and bubbles reaching to the top. The piece features a crystal base with a black and silver plate engraved with your text and logo at no additional charge. Each piece is unique! Due to the handmade nature of this piece, colors and sizes will vary slightly.